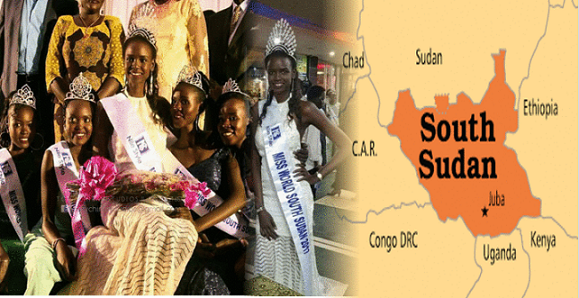 A 21-year-old administration officer Christine Arual Longar won the Miss World South Sudan 2017 title on September 10 at the Freedom Hall in Juba. Christine bested 6 other beauties including her court Hellen Cholhok Machiek first runner-up, Lenzie Akuch Biar who won second runner-up, Grace Piath Malual and Sophia Arek Gai who were third and fourth runners-up. Christine succeeds Akuany Ayuen and will now represent the landlocked country in northeastern Africa at the Miss World 2017 competition in November in China.